This two-day conference brings together designers, practitioners, clinicians, technologists and thought leaders linked by a common belief and a shared obsession: We can alter and improve our health care experience. 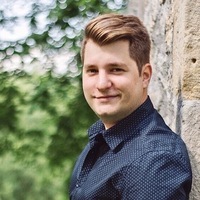 Csaba Házi, a Toptal UX designer and cofounder of Webabstract, will give a talk titled UX: the magic ingredient for patient experience. Join Csaba’s audience at 11:00AM at One Moorgate Place. Your message to Csaba was sent.